Paul’s first solo tour, which took place in 1989, 1990 and 2 years, started from Europe and landed in the United States, and was completed in January 1990, with the year ending in January of 1990. It was a schedule. It is a concert in the UK for the first time in 10 years. 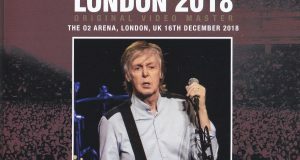 Moreover, in the UK, there were six performances in Birmingham, and in Wembley, London, there were 11 consecutive performances in the same city, with the largest performances being set up during the tour. This work is the title which recorded the Wembley performance completely on a sound board. It is not clear how this sound source leaked out. 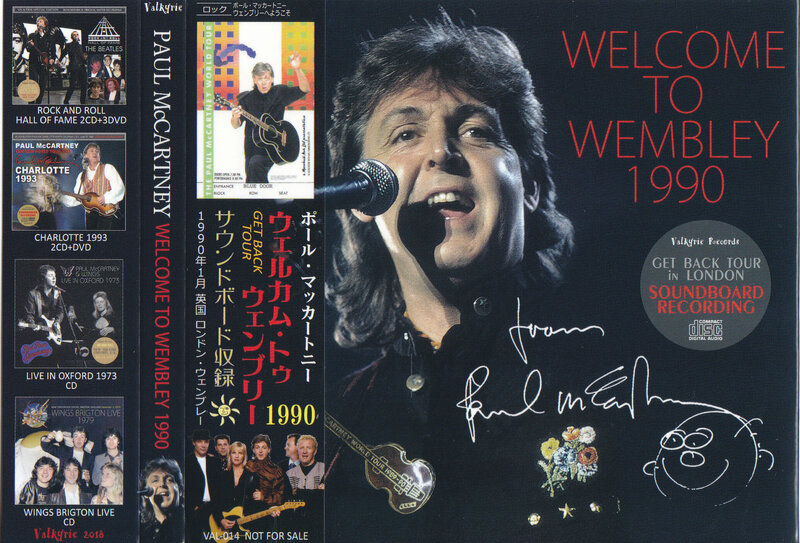 It is adopted from several performances of Wembley continuous performances in early January 1990, but there is a sense of unity in the sound quality, and even if the best part is selected, the performance site is different even in the song and there are traces of editing etc. It may even be premised on some official release. It is a soundboard sound source with high quality. There were already released boards because it was only this sound source, but all had problems with sound quality and content. If you have already released the board, I think that it is the title of the VOXX label that was considered the best until then. However, the VOXX label has been nearly 20 years since its release, and since then no label has been released, and it is an unfortunate sound source that has been left with problems. There is no doubt that this work will be a definitive board that surpasses them, and will become a standard title representing a get back tour. If you already have the board, you may have felt a sense of discomfort as the volume level goes up and down unnaturally from the part of the first intro SE. In addition, “Figure Of Eight” has the disadvantage that the volume level drops from the break part of the song, probably because the performances with different dates are edited before and after this. This work is the first advantage that the level is adjusted uniformly like the sound of a real hall through the whole concert. And the biggest defect of the already released board is “Jet” of the second music. 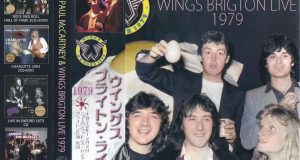 Following the intro riff, Paul exclaims “Eh ~ ie ~ jets!” This “jets!” Is twice more often due to an editing mistake, and the second overtime “jets!” Because it does not exist, it extends between “Jeez”. In other words, the song composition is wrong due to an editing mistake. It seems that mania has always felt a sense of discomfort as this kind of obvious mistake has been neglected. There are no such deficiencies in this work, and it has the correct song configuration that should be. Also, as a disadvantage of the existing disc, the disc split starts with Disc 1 until “Things We Said Today” and Disc 2 starts with “Eleanor Rigby”. As you know, these two songs are played continuously like medley by connecting the lobby guitar solo. Many titles have been released from the time back to the Get Back Tour, but it will be the only Wembley disc that has recorded these two songs separately. Stop the flow of the concert Without a sense of editing had become a major drawback of the already published board. 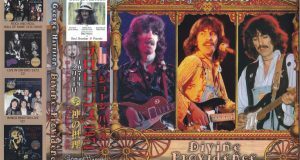 Like this trip, Disc 1 starts from “This One” until Disc “Eleanor Rigby”. In addition, there is a point that “Twenty Flight Rock” fades out due to incomplete recording as a defect of the already released board. One of the advantages of this film is that it is completely recorded by editing. Furthermore, “The End” is an important song that concludes the end of the concert, but this was also an incomplete recording in a fade-out on the already released disc. This work is also the last Jan by editing! It is completely recorded until. And the pitch upset was one of the major drawbacks of the already released board. At the beginning of the game, although the values ​​are correct at the normal values, they get faster as they move to the second half, and by the time they come past “Coming Up”, the pitch is 3% faster than the normal values. This was a big mistake of the level which can recognize the disparate even if it usually listens. In this work, this pitch is properly adjusted to plus minus zero throughout. As mentioned above, the already released board which has already finished its role and became a thing of the past is lacking in contents, pitching, editing errors, unstable levels, etc., and it is the best sound source even though it is such a great sound source. Even the ones that were mentioned were quite ugly from the current point of view. This work will eliminate all those deficiencies, and it will be a universal title that will remain as a definitive board. 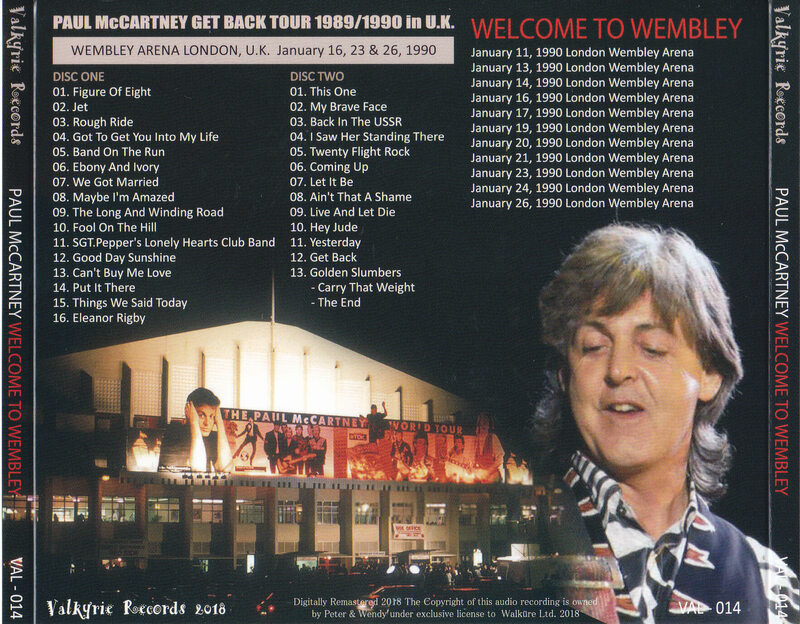 January 1990 Wembley performances are fully recorded on the sound board. A permanent press with a beautiful picture disc specification. Japanese band included.